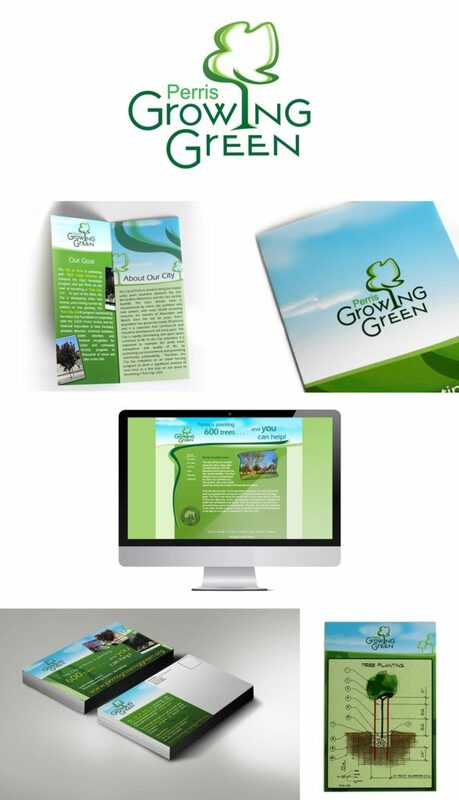 This was a ‘green’ campaign we did for the City of Perris and their partner West Coast Arborists to enhance the City’s forestation program to make Perris a recognized “Tree City, USA.” As part of the campaign, we helped them develop the campaign name, branding, messaging, tree-themed street names, various outreach materials, community events, and an online educational component. The City updated tree planting policies to accommodate new tree planting opportunities and an overall ‘greener community’ landscape design. The Tree City USA program was sponsored by the Arbor Day Foundation in cooperation with the USDA Forest Service and the National Association of State Foresters. The City of Perris ultimately received national recognition for the urban forestry effort and their commitment to a greener community.